The W2 Foundation ‘An Irish Night in London’ 2018 was held on Friday 16th March 2018, on the eve of St Patrick’s Day and Ireland’s Six Nations Grand Slam triumph. The night was a celebration of the Irish in London, of the rivalries and friendships between the two teams and the two countries. 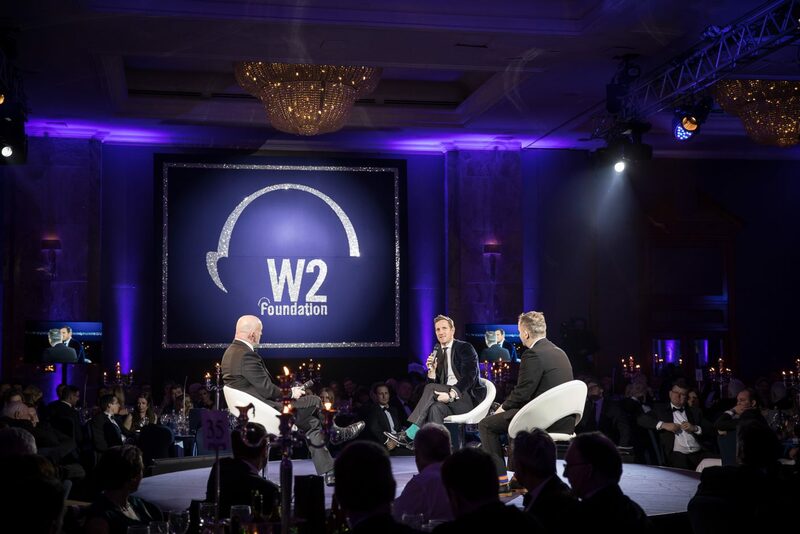 Following on from the previous 2016 Event, the W2 Foundation raised €250,000 which has in its entirety been granted to deserving groups both in Ireland and the UK. A cross sectional remit have been supported from sports facilities, rehab centres, programmes for Autism and Down Syndrome, Special Olympics to Cancer Research and musical interventions in deprived areas of society. We have also supported the bravery of Doddie Weir in his battle with Motor Neuron Disease. ‘An Irish Night in London’ 2018 ensued with MC Martin Bayfield at the helm and an exceptional display of entertainment and performances. Rugby favourites Keith Wood, Will Greenwood and Tommy Bowe took part in rugby discussions with Off the Ball’s Ger Gilroy and musical performances by the amazing Andrea Corr and New Atlantics entertained guests. The fundraising auction was immensely supported with all proceeds raised at the event going directly to the W2 Foundation which supports Sport, Community, Education and Rugby Player Welfare. A momentous amount of funds, over £400,000 was raised and pledged on the evening. Awarding beneficiaries will be announced in the coming months.